Although this may seem as your average college advertisement, this statement was not wrong to the likes of Michelle Yang, a third year at UChicago, majoring in Anthropology and Comparative Race and Ethnic Studies (CRES). 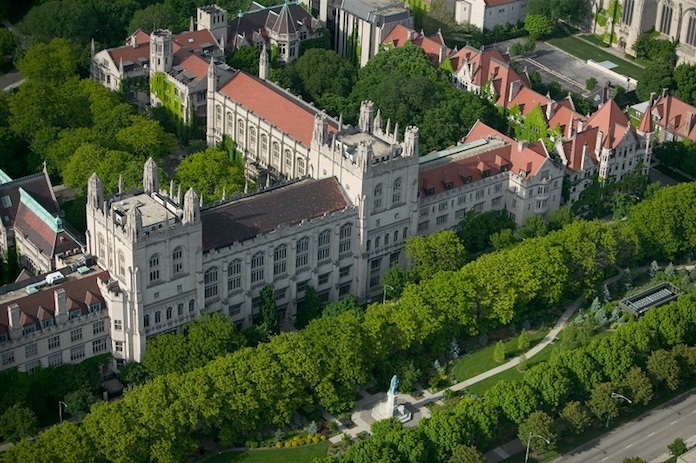 Through UChicago, Yang came to realize that her own image and perspective of UChicago was unlike what the college actually represented. Yang pictured a college with a healthy relationship to its neighborhood communities. However, in contrast, UChicago contributed to a lot of police violence and gentrification in its neighborhood. Although it may not be anyone’s ideal, it can be very eye opening and life changing, especially to one majoring in anthropology. As an anthropologist, whose focus is on “societal structures that influence and are influenced by the way people make meaning, understand, and act,” the academics are not ones you can learn at a regular high school. Yang’s favorite class was about the ways infrastructure such as buildings, cafes, and highways can influence someone’s relationships and vise versa. Another class was about how race and racism are built into the the state of Chicago in a variety of ways. However, to Yang, it’s not just the academics she has learned to love, but it is the people at UChicago that has changed her the most. The friends that she has surrounded herself with have not only improved her emotionally, but academically. Unlike every other college student I’ve interviewed, Yang’s advice for applying to college is one from the other side of the fence. Most other adults would probably tell you to become a unique person, to try hard, and to adopt a new personality if you want to get into the college of your dreams. In conclusion, not only does is UChicago interested in those you have individual thinking processes, but may even change their students perspective on the world around them.